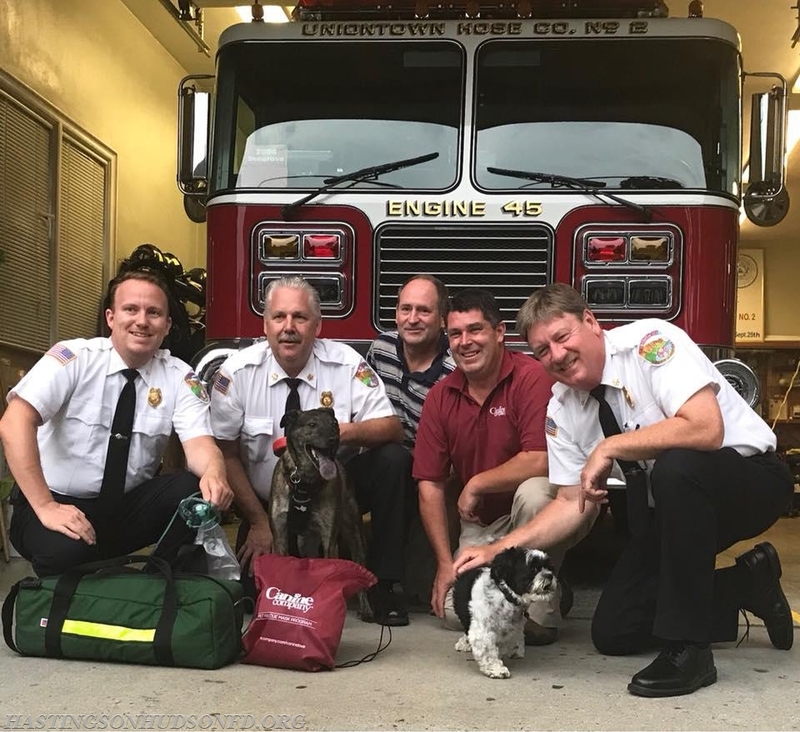 On August 7, a representative from the Canine Company came to Uniontown Hose Co. and presented Chief of Department Martin Gunther with pet rescue masks for all the department apparatus. Since 2008, the Canine Company has donated over 400 kits to fire departments across the East Coast. While we hope we never have to use them, they are a great asset to add to our fleet of vehicles.